“Gratitude is an emotion that we feel when we believe that someone or something has given us something that we couldn’t easily achieve on our own. It’s there to change what we do next. People tend to think that gratitude is this passive thing — ‘Oh, somebody helped me in the past and that’s great.’ But the reason we have any emotion is because it’s designed to change what we do next, to be powerful in that way. So what gratitude does is it reminds us that other people — our parents, our friends, our family — have helped us, and therefore we feel that emotion and it makes us want to pay them back and to go above and beyond. “In the short-term, you can kind of be selfish and be a bit of a jerk and you can profit. But over time, people are going to realize that you’re not a good partner to work with, you’re not someone they want to have around. And what beautiful evolutionary models have shown is that over time, people who show gratitude, who cooperate, who are trustworthy, who are generous have the best outcomes. Feeling this emotion helps ensure that we do the right thing. “There are a few strategies. One strategy I recommend, it’s probably one people know, which is simply gratitude journaling. That is, every couple days, stop and reflect on things that you’re grateful for. Now the trick is, we all have the three things in life that we’re incredibly grateful for. If you think about those three things every day, they’re going to lose their power. You’re going to just habituate to them. But think about — did someone stop and give you directions today? Did someone give you a seat on the bus? Did someone just show you some type of kindness? And what we find in our work is those types of gratitude reflections produce the same behavioral effects as thinking of the thing that your parents did for you that changed the course of your life. And so stop and reflect on those. New York Times: “Opinion: The Only Way to Keep Your Resolutions” — “New Year’s Eve is a time to set goals: to eat better, to save more money, to work harder, to drink less. It’s Day 1 on the road to a ‘new you.’ But this road, as we all know, is difficult to follow. Humans are notoriously bad at resisting temptation, especially (as research confirms) if we’re busy, tired or stressed. By Jan. 8, some 25 percent of resolutions have fallen by the wayside. And by the time the year ends, fewer than 10 percent have been fully kept. “Unfortunately, the problem of New Year’s resolutions is, in a way, the problem of life itself. Our tendency to be shortsighted — to value the pleasures of the present more than the satisfactions of the future — comes at a considerable cost. Surely by now you’ve heard of the psychologist Walter Mischel’s famous marshmallow experiments, in which children who could resist the temptation to immediately eat one sweet would be rewarded with a second sweet about 15 minutes later. Professor Mischel found that those who could wait — those who had self-control — were also the ones who had better academic and professional success years later. Wall Street Journal: “Thanksgiving and Gratitude: The Science of Happier Holidays” — “As the holiday shopping season moves into high gear, it’s easy to get caught up in the rush of spending. But consider this conclusion from recent scientific research: Materialistic people are less happy than their peers. They experience fewer positive emotions, are less satisfied with life and suffer higher levels of anxiety, depression, and substance abuse. “Why is this the case—and how can we avoid falling into the unhappiness trap of materialism this holiday season? 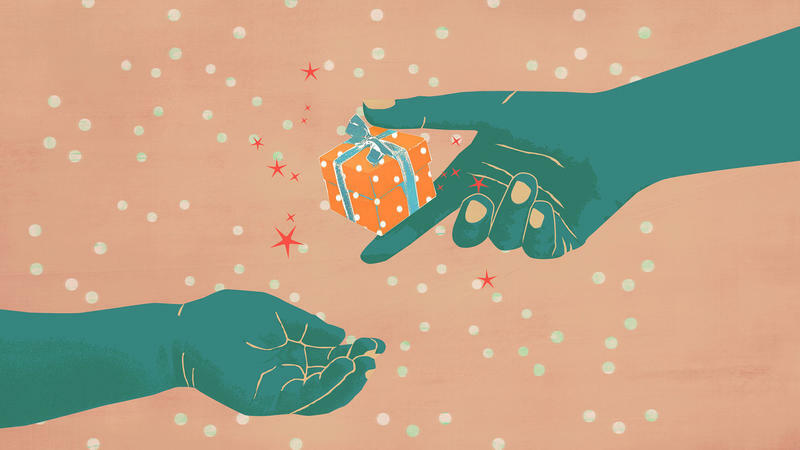 “One answer has been emerging from social science: Cultivate a mind-set of gratitude. Gratitude is proving to be about much more than the occasional ‘thank you.’ Instead, the principles of Thanksgiving give rise to a unique way of seeing the world. The Atlantic: “Better Than Willpower” — “Willpower, reason, and executive-functioning skills all seem like ingredients in the recipe for success. So why, then, have so many of us already abandoned our New Year’s resolutions, and it’s not even February yet? “According to Emotional Success, a new book by the Northeastern University psychology professor David DeSteno, it’s because we’re going about pursuing our goals in the wrong way. “Instead of putting our noses ever closer to the grindstone, he advocates relying on so-called social emotions—gratitude, compassion, and pride—to get things done. These emotions, he says, naturally encourage self-control and patience. 04/21/14 - Monday’s Topical Currents features a conversation with psychologist John D. Mayer. Mayer, who developed the groundbreaking theory of “emotional intelligence” now suggests that our ability to “read” the faces, emotions, and desires of those around us can greatly enhance our life experience…and better understand our own feelings. Join us for a discussion of John D.
It's a time of year when we're often urged to be grateful; for friends, for family, for presents under the tree. But not everyone experiences gratitude as a positive force in their life.